A submerged volcano off the coast of Japan that erupted 7,300 years ago could be preparing to make a comeback. 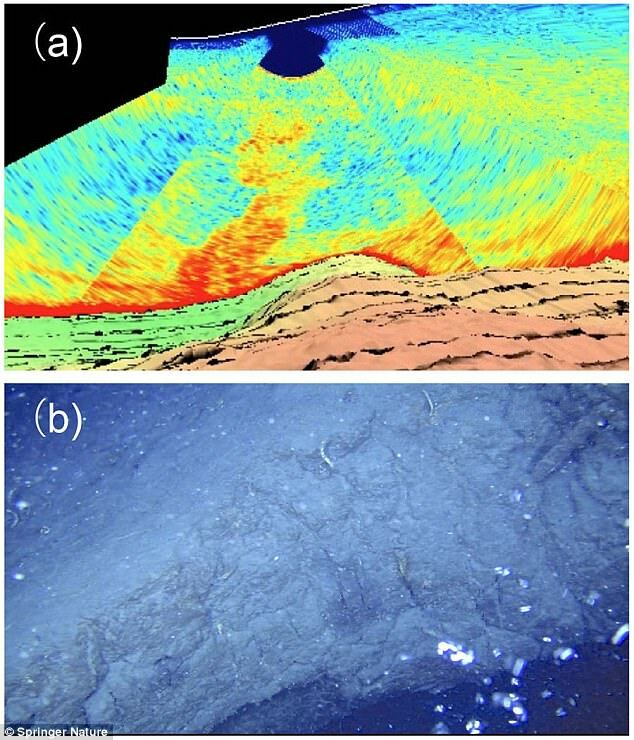 The study, conducted by researchers with the Kobe Ocean-Bottom Exploration Center (KOBEC) at Kobe University, confirmed that the giant lava dome was created after a caldera-forming supereruption 7,300 years ago. That eruption is thought to have wiped out the prehistoric Jomon civilisation in southern Japan. 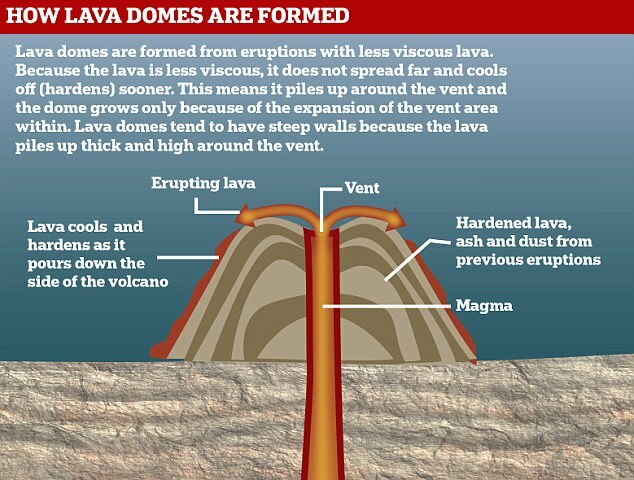 If the new lava dome erupts, it could eject huge amounts of debris into the atmosphere, potentially blocking out the sun for some areas to trigger a 'volcanic winter'. It could also cause tsunami that would hit southern Japan and the coasts of Taiwan and China, before striking the coasts of North and South America. The paper says such supereruptions are 'rare but extremely hazardous events, and also have severe global impacts such as 'volcanic winter'. 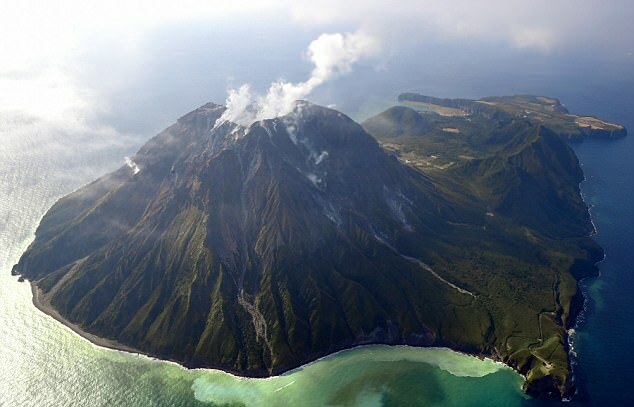 'Many of these super-volcanoes repeat super-eruptions in their multi-million year histories', the report said, adding that the scientists hope to be able to use their research in 'preparation for the next super-eruption'. The lava dome is in a caldera - a cauldron-like depression that forms following the collapse of a volcano into itself, forming a crater. These collapses are usually triggered when a magma reservoir beneath a volcano is emptied as the result of a volcanic eruption. Since KOBEC was established in 2015, the Center has carried out three survey voyages. The lava dome rises to 600 metres (1,968.5 feet) above the seabed and is now only 30.5 metres (100 feet) beneath the surface. 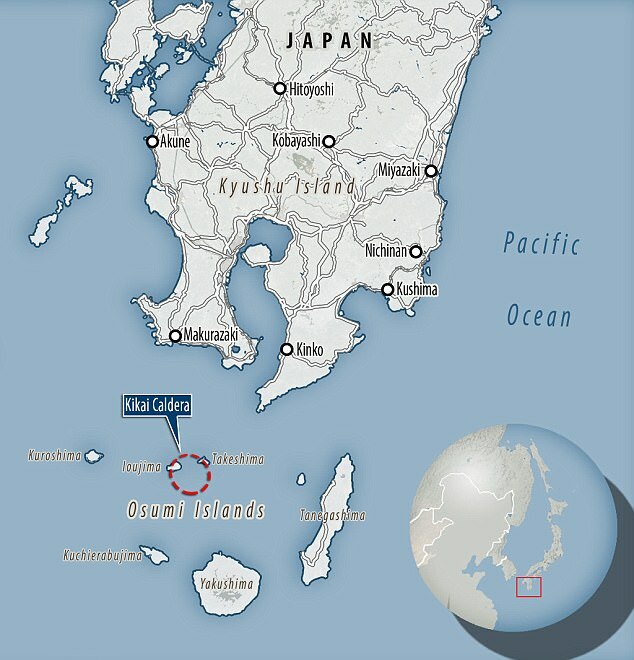 According to the study, the outer and inner caldera rim may overlap on Satsuma Iōjima and Takeshima Islands, which belong to the southerly Ōsumi Islands Archipelago off southern coast of Japan. Six samples collected so far from this dome are rhyolites, a type of igneous rock that forms through the cooling of magma or lava, suggesting that the dome could contain lava. They also spotted active gas bubbling, as well as super-heated water columns, near the caldera. Professor Yoshiyuki Tastsumi, head of KOBEC and a magma specialist, as well as the first author of the study, told The Mainichi newspaper that 'Although the probability of a gigantic caldera eruption hitting the Japanese archipelago is 1 percent in the next 100 years, it is estimated that the death toll could rise to approximately 100 million in the worst case scenario'. Researchers equipped training ship Fukae Maru, part of the Kobe University Graduate School of Maritime Sciences, with the latest observation equipment to survey the Kikai Caldera. During the three voyages, KOBEC carried out detailed underwater geological surveys, seismic reflection (estimating the properties of the Earth's subsurface from reflected seismic waves), observations by underwater robots, samples and analysis of rocks, and observations using underwater seismographs and electromagnetometers. 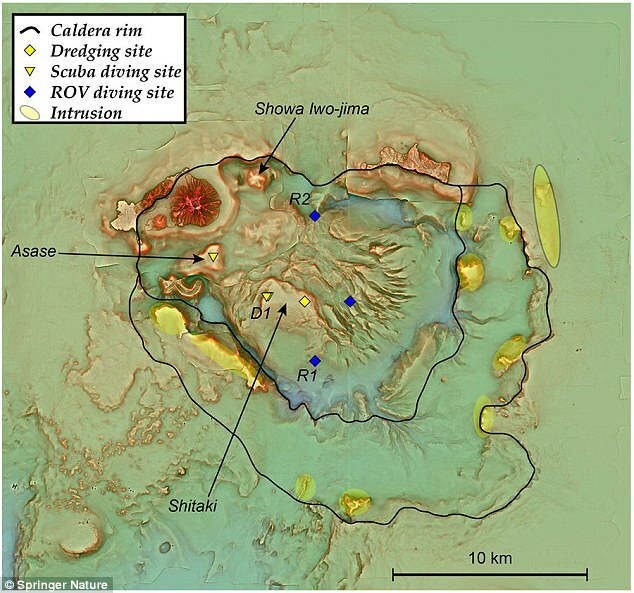 In their upcoming March 2018 voyage, the researchers plan to use seismic reflection and underwater robots to clarify the formation process of the caldera revealed in previous surveys and the mechanism that causes a giant caldera eruption. They will also use seismic and electromagentic methods to determine the existence of a giant magma build-up, and in collaboration with the Japan Agency for Marine-Earth Science and Technology will carry out a large-scale underground survey, attempting to capture high-resolution visualizations of the magma system within the Earth's crust. Based on results from these surveys, the team plans to continue monitoring and aims to pioneer a method for predicting giant caldera-forming eruptions. Japan sits atop four different tectonic plates, making it one of Earth's most seismically active regions. 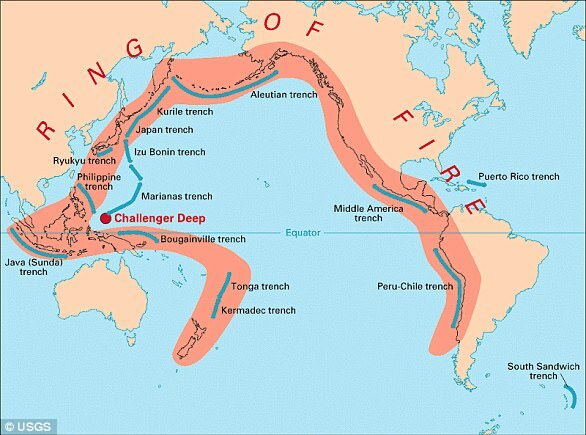 Japan and its islands lie within the Pacific 'Ring of Fire' - a horseshoe-shaped geological zone that is a hot bed for tectonic and volcanic activity.